ROMANCE BOOK PARADISE: Lynne Marshall with a Giveaway! Lynne Marshall with a Giveaway! Today we have Harlequin Mills & Boon Medical and now Harlequin Special Editions author Lynne Marshall. 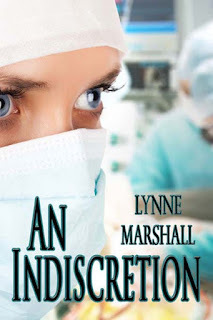 Lynne Marshall writes contemporary and Medical Romance for Harlequin and The Wild Rose Press. The first book in the Grady family trilogy, Courting His Favorite Nurse, is a March 2012 Harlequin Special Edition. Also coming in March in e-book only is, An Indiscretion, a contemporary romance with strong medical elements, from The Wild Rose Press. It is a well known fact that there are only a limited number of plots for books – I’ve heard anywhere from twenty to thirty-six – such as human against nature; Human versus society; human against human; human against self; human against supernatural; and the list goes on. It is also said that there are sixteen to forty-five master character archetypes depending on which books I refer to, and I have a few favorites. I love the plucky heroine, or the seductive muse. Who doesn’t love a protector hero or the bad boy? Writing romance forces the author to learn about the “hooks” readers have come to know and love. Again, this number varies depending on your resources. Today, I’d like to share my top five favorite romance story premises, and why I love them so. Marriage of convenience. Ever read one of these? It takes a real skill to write forced proximity stories well, and I drool when I read a good one. I used this premise in Assignment Baby. I find many of these types of stories in historical romance, which lends itself to barter brides or mail order brides. A great example of a recent marriage of convenience story was the wonderful contemporary movie starring Sandra Bullock and Ryan Reynolds, The Proposal. Secret baby. Ah, who doesn’t love a good “I got pregnant but never told you” story? I’ve written one or two of these books, and I found it very challenging to make the situation believable while not making the reader mad at the heroine for keeping the super big secret. In Temporary Doctor, Surprise Father I added a special twist to this plot and it was a book that wound up being a finalist in the Greater Detroit Book Buyer’s Best contest in 2010. Pregnant with another man’s baby. Also known as – How to make a man fall in love with a pregnant woman in nine months or less? This is an incredibly tough plot to pull off due to limited time and the exceptionally touchy subject of a man accepting a woman carrying another man’s baby. One false move and the story may ring untrue and turn off the reader. Fiona Lowe did a wonderful job of pulling it off in Pregnant on Arrival. I also have an as-yet-to-be-published book titled Her Baby, His Love that tackles this very topic. I confess that I loved writing it! Beauty and the Beast. Who doesn’t long to take a dark and brooding male, with or without some sort of disfiguration, make him fit for society again, and have him fall in love with you in the process? Anyone remember the old TV show back in the 80s – Beauty and the Beast, where Vincent read Dickens and Shakespearean sonnets to Catherine? Very romantic. 5. Mentor/Protégé also known as Boss books. This is a hugely popular plotline from the number of titles I’ve seen with “boss” in the title. I’ve written one of these too. The Boss and Nurse Albright put a brooding doctor to task when the new nurse practitioner showed up with many out-of-his-comfort-zone ideas on her list of how to change his clinic. I adored pitting the hero and heroine against each other until they were hopelessly in love! I also confess to having a few plots that I’m not crazy about. For instance, I cannot buy into amnesia books. Sorry. It just doesn’t work for me. Also, there is one other story I love to read and write – reunion stories. I love when couples who weren’t able to get it together in the past, get a second chance at finding love. I used this plot for both Courting His Favorite Nurse, and An Indiscretion – my March books. As readers or writers I’m sure you all have your personal favorite plots, too. What is yours? Or, if you prefer, share a plot you’re really tired of or have never liked. I have a copy of either Temporary Doctor, Surprise Father or The Boss and Nurse Albright to give away to one commenter. Anne Grady knew better than anyone that love was complicated. When she’d left her hometown, she thought she was leaving her past heartbreak behind for good, as well. But practically the moment she returned to care for her injured parents, she stumbled headlong into their confidant—her first love, Jack Lightfoot. Jack had been unable to deny his feelings for Annie when he was a teenager dating her best friend, and he certainly couldn’t muffle the spark twisting between them now—even if memories of the past kept threatening to push them apart. This time Jack wasn’t going to let history repeat itself—he was going to show Annie that the two of them were meant to be much more than best friends! She has a copy of either Temporary Doctor, Surprise Father or The Boss and Nurse Albright to give away to one commenter. I actually like lots and lots of different plot lines, including all those you mentioned above (even the amnesia one, if written well). I would think as a writer of romance that #2 and #3 would be the most difficult and, as mentioned, the touchiest. Who doesn't get angry at a heroine who keeps her pregnancy secret? I think the one that gets overused is #4. I don't know how many romance novels I've read where the hero has some physical issue and then, Voila! He's overcome it, and boy, isn't he handsome! Thanks for the very informative interview. I'm so glad you like/enjoy these examples of romance book "hooks" or premises. As long as the author finds a new way to tell the story, the reader will be entertained, right? The last thing we authors want to do is put the reader to sleep, or for the reader to say - hmm, haven't I read this before? I am so glad to know that you enjoy all of the major romance premises - you are the kind of reader that keeps our beloved genre flourishing! You are so right, secret baby stories are very tricky to right. The author must give a darn good reason for why the woman didn't tell the guy about her pregnancy. So many authors have done stupendous jobs of creatively telling that story, though. I am particularly proud of Temporary Doctor, Surprise Father for that reason - and since it was a finalist in the Detroit RWA chapter of Bookseller's Best,I feel I fulfilled my job as romance author. I'm a huge fan of reunion stories and beauty and the beast. Arranged marriages are another favorite, but I think this is very hard to pull off in a contemporary story. One I'm not so keen on is pregnant with another man's baby. It. just doesn't resonate with me. Pregnant with another man's baby must be written with a fine tooth comb. I hope you've given Fiona Lowe's story a chance - it's a beauty. I enjoy many plots. I don't have a favourite. I always fall to pieces for a good reunion story. Those Oprah episodes set me to some serious sobbing. Leslie! I'm with you. :) Reunion stories are well worth the wait. There is something so special about unrequited love from years earlier finally finding its time with the more mature lovers. Sigh. 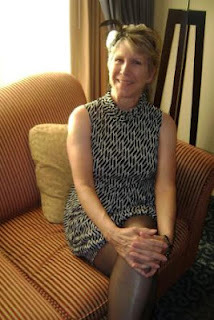 Lynne, great blog post! I've never written a MOC or a secret baby, but I've written a reunion story and loved it. Just did 'Friends to Lovers' and really enjoyed that too! Thanks for mentioning my debut novel, Pregnant On Arrival. Hard to believe I've just sold my 18th, medical romance. Fiona! It seems like yesterday you and I both got picked up by Mills & Boon. Wow - congratulations on 18 Medical Romances. You know I'm also a big fan of Boomerang Bride. Jinx! I just finished a friends to lovers story for Special Edition, too! It is Anne Grady's brother Lucas who finally sees that girl next door for who she is meant to be - his woman! Amnesia does happen in real life so I can buy into it. I don't like the secret baby premise but I know that happens too. All the premises are based on solid life facts. Congrats again, Lynne, on your two latest releases. You are one busy lady! I agree with those plotlines, however I do find the older woman, slightly younger man pretty good too. Shame theres not many of them. Good luck with the book. All five of these premises work but I think my favourite is Beauty and the Beast. I'm married into an Indian family. I recently attended the wedding of my thirty year old nephew, a very handsome man indeed. His marriage was arranged completely by his parents. Both the groom and his lovely bride looked very happy indeed. I'd love to try writing a book about the arranged marriage scenario. I've seen lots of real life incidences to have material to draw on. I'll enjoy any premise ... if it's well done! :) I do love reunion stories too - they're so often lots of fun! Hi Savannah - I'm glad you like these "hooks" as we call them in the biz. Taking tried and true premises and making them your own is part of the joy of writing romance. I'm so glad you like all of the plots in our beloved genre. I'm with you on loving those reunion stories. Looking forward to yours from Entangled. Hi Kooks! I love your way of thinking. Older women with young men stories are out there, but hard to find. I happened to write one in my road trip book - One for the Road. It is a bigger book, not category length. Heroine is 46 and hero is 42. Usually, these kind of premises are in the secondary character stories in bigger books. I was more than happy to bring that front and center in OFTR. Finally someone love the Beauty and Beast premise! It takes a special woman to tame a dark and brooding hero, and I love watching how the story unfolds. I'm so glad you chimed in about arranged marriages. This is an opportunity for authors to break in with a new idea. I know many Americanized Indian nurses, and when their brothers get married, many times they travel back to their homeland to meet their arranged bride for the first time. I once judged a contest with an entry about an arranged marriage, and I was enthralled by the story. I hope that author (whoever it is) finished her story and submitted it somewhere. She nailed all the emotions that would go through a young woman's head seeing her groom for the first time on the wedding day. wow. Now that Harlequin is in India - I'm thinking these stories have a good chance. Thanks for raising an intriguing subject. Jemi I'm with you - I enjoy just about anything - KEY PHRASE - as long as it is well done! Thanks so much for reading and commenting today! Interesting post from Lynne. I tend to like stories with children in them and second chances also strike a chord with me. I love stories with children in them, too! My Santa Barbara trilogy (from the Medical Romance line)The Boss and Nurse Albright, The Heart Doctor and the Baby, and The Christmas Baby Bump had children in each story, and it was a delight to create those little tykes. Hi Lynne! I must admit, I'm a sucker for beauty and the beast type stories. Nothing like a well done Beauty and the Beast tale! Amnesia is one plot I don't really like, either. Though if the condition is handled right without playing to cliches, then it's a lot easier to stomach. Hi Golden Eagle - I'm glad we see eye-to-eye on the amnesia issue. Of course the big caveat being - IF IT'S HANDLED RIGHT anything is easier to accept. I'm glad you enjoyed the post. Thanks for commenting. Congratulations on the release of your Courting His Favorite Nurse and An Indiscretion! I loved your earlier medical romances. So I know I'm going to love reading these two as well. When I get on a break, I know which books I'll read! I hope you enjoy your reading on school break! I'm so glad to know you've read some of my earlier books. I'm very excited about my latest books, too. I LOVE a good Boss book. I think that's because I spend so much of my life working LOL. Wow! I can see you're having a nice time chatting with all my friends here! I love the secret baby books. But as it happens, normally its the hero who would not know that he has a baby, but recently I came across a heroine who was unaware she had a two year old son. Yes, right! Amnesia! It was interesting. And it had a host Sheikh as well! Lynn Raye Harris's Strangers in the Desert. Lol! I meant 'Hot' Sheikh. And yes, Riya read all your older Medical Romances. Probably the reason she turned to Medicine! Wow, Nas that is a brilliant premise for an amnesia book. I love it! Hot hero and all. It's great to be here at your blog, chatting with your followers. Thanks for inviting me. Congrats on your new release! I don't have a pet hate where plotline is concerned. I don't go much for revenge plots but that as you say is all in the execution. I'd love to read your The Boss and Nurse Albright, it sounds intriguing! Cheers! Hi Ruchita - good for you for enjoying many different plot premises. Revenge is a tough one to pull off, but my favorite is when the hero or heroine are out to get revenge (one on the other) and it backfires into falling in love. Susan Elizabeth Phillips did it beautifully in AIN'T SHE SWEET. I'm glad you find the "Boss" premise intriguing in The Boss and Nurse Albright! Love the blurb/setup for An Indiscretion. Adding this one to my wishlist! I love all those plot premises, too. Books and movies. Nice to meet you Lynne. Deniz! What a fascinating premise! thanks so much for reading, commenting, and sharing your WIP with us. Hi Carol K. Nice to meet you, too!